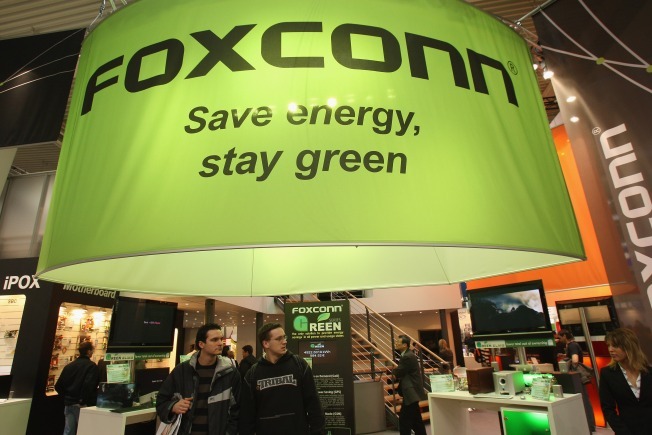 Foxconn has a serious public relations problem on its hands after a spate of suicides, and it's not good news for Silicon Valley companies like Apple and Hewlett-Packard, either. A company known as a Taiwanese "tech giant" is investing in Pennsylvania. Foxconn, a major supplier of Apple products, plans to spend $30 million in the commonwealth on what it's calling a new "high-end technology manufacturing facility." The company, alternately known as Hon Hai, will invest another $10 million into a joint research and development effort with Carnegie Mellon University in Pittsburgh. The deal came together after a visit from Foxconn's CEO last week, according to Steve Kratz, a spokesman with the state Department of Community and Economic Development. "It's impressive in the fact that they recognized our educational institutions, specifically Carnegie Mellon, as opportunities for manufacturers and advanced manufacturers to incorporate the technology they're developing into their manufacturing processes," he said Monday. The company hasn't yet decided where its new facility will be, Kratz said. Foxconn already has a small research and development operation in Harrisburg. Central Pennsylvania offers transport advantages over Philadelphia and Pittsburgh, said to the head of the Harrisburg Regional Chamber and the Capital Region Economic Development Corporation. Employees at the Harrisburg-based Foxconn facility declined to comment.